Water Parks pumped out announcements faster then they do water in the recent week. 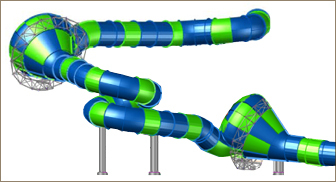 New ProSlide Creations will be heading to two of the Great Wolf Lodge, indoor water parks. 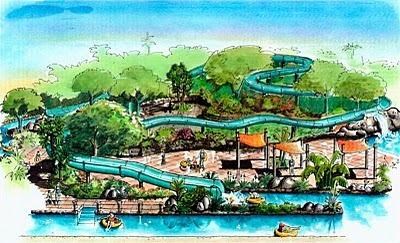 Also, Schlitterbahn announced a new water park in Cedar Park, Texas. Time to slide down this pipeline of news! The Great Wolf Lodge is a chain of indoor water parks across the country. 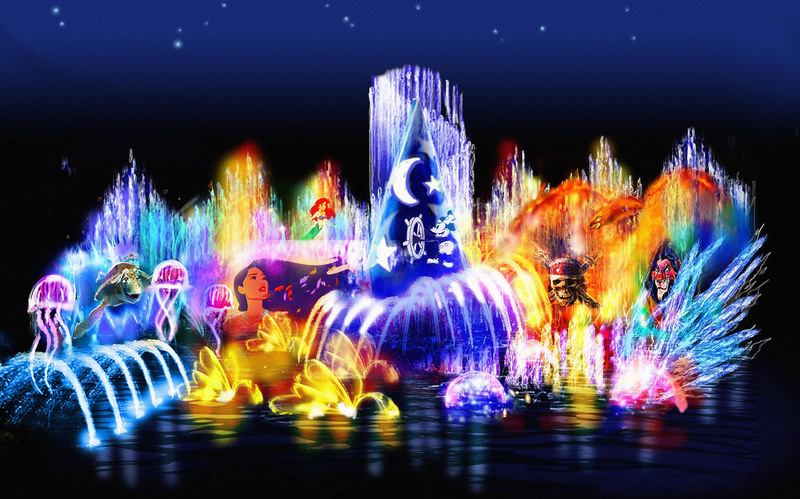 They continue to push the envelope by opening new and creative rides each year for your enjoyment. 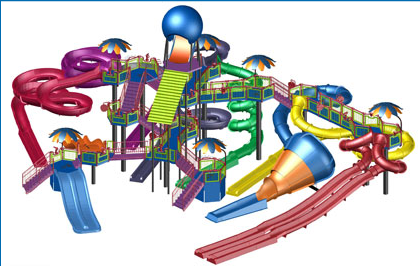 Two of their locations, one in Mason, Ohio (next door to King’s Island) and the other in Pocono Mountains, Pennsylvania will be getting their own versions of the new ProSlide Tantrums. Mason, Ohio will be getting triple trouble with the Triple Twist. Riders begin by boarding their two person rafts and dropping 5 stories. Then they head into three (yes 3) miniature Tornado elements back to back to back. Riders who are lucky enough to get to ride Triple Twists at night will become totally disoriented by the LED lighting effects in each of the funnels. The Great Wolf Lodge in the Pocono Mountains are going to double dare you to experience the mighty Double Barrel Drop (how can you not love the names Great Wolf Lodge gives to their slides?). Double Barrel drop will be a 6 story rafting adventure with you and 3 other friends. 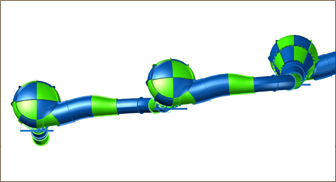 It will feature two funnel elements, a number of turns in total darkness and incredible speed before hitting the splashdown pool at the end of your journey. Both Double Barrel Drop and The Triple Twist are set to open in 2010. The big announcement came from Schlitterbahn who announced a entirely new resort set to open in Cedar Park, Texas. The resort will include a new, year-round Boutique Hotel, confrence center, retail outlet, and restaurants. All are said to be ready by summer 2012. At a cost of $75 million, the 67 acre entertainment destination will have a world class water park, a uniquely themed hotel, and so much more making it the ultimate family destination in Texas. 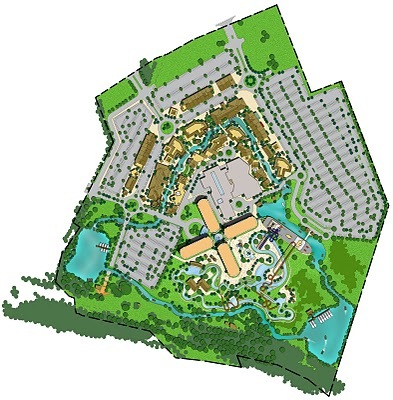 The water park will utilize the Transportainment system that Schlitterbahn created which allows riders to reach their destination without every leaving the comfort of the Lazy River. While the park has not revealed which rides will be included, it is safe to assume that Schlitterbahn Cedar Park will definitely include a Master Blaster. Surely, one of the most impressive elements of the resort is the hotel. Similar to the Schlitterbahn Vacation Village Resort in Kansas City, Kansas, the hotel will be beautifully themed with wonderfully done exterior. The designers also are making the tree houses Eco Friendly by including LED lights, low flow fixtures, and several other energy saving items. 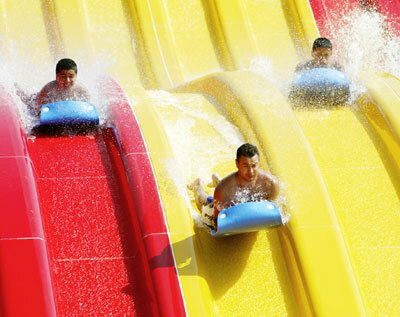 Schlitterbahn Cedar Park is located right off of a major Texas Freeway, an excellent location for attracting visitors. Not only will the new water park attract visitors, it will also bring thousands of jobs, a major boost for Cedar Park’s economy. Expect to see construction soon as the massive resort is set to open in just a couple of years. So what do you think of these water park announcements? Good or bad? Leave a comment with a park thought below. Way back in November, we introduced you to the Happy Magic Watercube, a new indoor water park inside the famous Watercube Aquatic facility for the Beijing Olympics in 2008. We mentioned that it would be featuring a new kind of structure from the Canadian group ProSlide Technologies. Well just recently, they announced RideHOUSE, the all new one of a kind play facility going into the Happy Magic Watercube. The ProSlide RideHOUSE, Ride n’ Play facility will feature all of your obligatory water play structure items like canons, buckets, spray guns but ProSlide is taking it to the next level. RideHOUSE will feature several, massive water slides such as a small version of the popular Tornado slide, and several new creations like Octopus Racer, Fire Slides, and Gang slides. RideHOUSE will be installed in both the Happy Magic Watercube (China) and Parque Recreativo Pisclago (Columbia). If this new Ride n’ Play system ends up being a hit, I think it is safe to assume you can see one of these coming to the American water parks. Leave a comment and park thought below! After originally being reported that it was heading to the West Coast, it now appears officially confirmed by The Morning Call that the Demon will indeed be heading to Dorney Park. 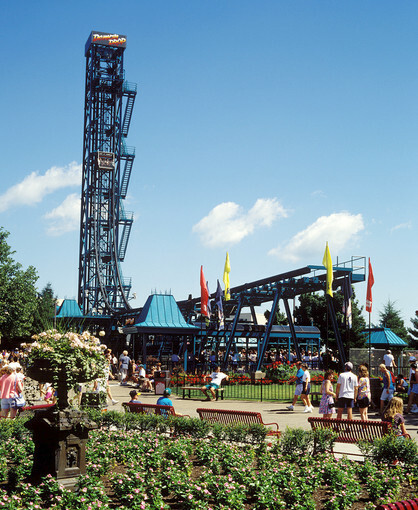 Cedar Point in Sandusky, Ohio retired the Intamin 1st Generation Drop Tower after 25 years of operation in 209. One park’s trash is another park’s treasure. Set to open in the upcoming season, Demon Drop will be replacing the vintage dodgems, the Krazy Kars. (One old ride replacing another!) Officials say that the ride was indeed originally planned for Knott’s Berry Farm in Buena Vista, California but since Dorney Park needed something new and had more available space, they sent it there instead. An interesting decision considering Dorney Park already has an S&S Drop Tower. Will Demon Drop be more appreciated at it’s new home? Leave a comment below with your own park thought! With tough economic times, the amusement park industry has reacted quickly by adjusting their annual passes accordingly. Weather this meant they offered lower prices, or raised their prices, the economy may have effected your season pass plans for 2010. Lets take a look from coast to coast, the season pass situation. Disney’s California Adventure’s new nighttime spectacular, World of Color is getting closer and closer to its Spring 2010 opening. 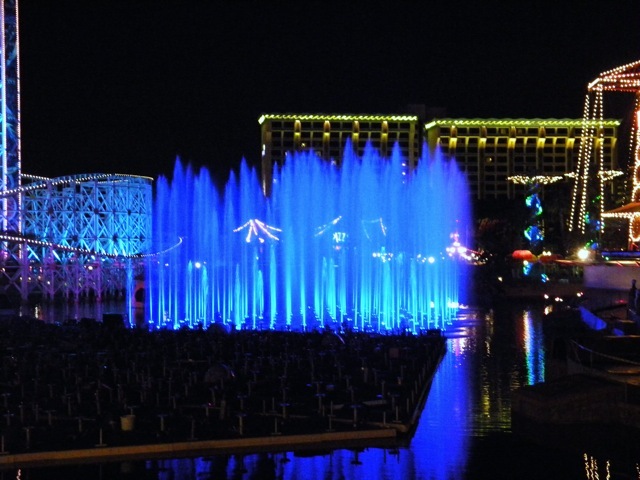 Many videos and images have started to surface that show off the testing happening right now for the giant water show.